The Rinkers first moved into the Sunchild Reserve in 1975, after holding VBS and summer camps, beginning in 1971. Four and a half years later, the Rinkers moved on, and a Native couple took over the work, locating on the adjacent O'Chiese Reserve. 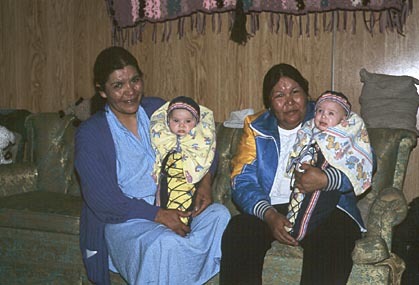 In 1986, the Rinkers moved back into the Sunchild Reserve, as it had gone for several years with no missionary. 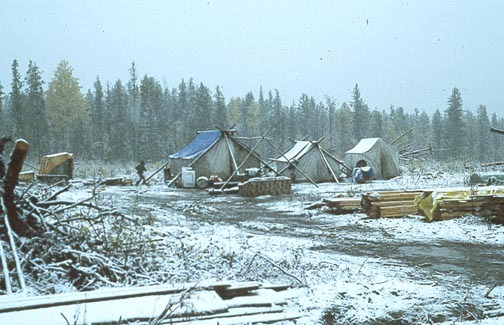 They set up a tent camp in the location where they planned on building the mission, but within a few weeks, the worse flood in history took all the roads out leading into the area. 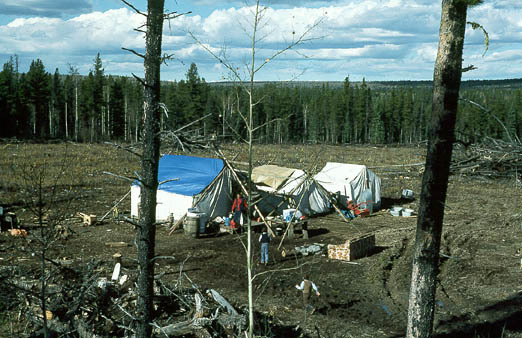 They were given permission to located in an area on higher ground, and they moved their tent camp. 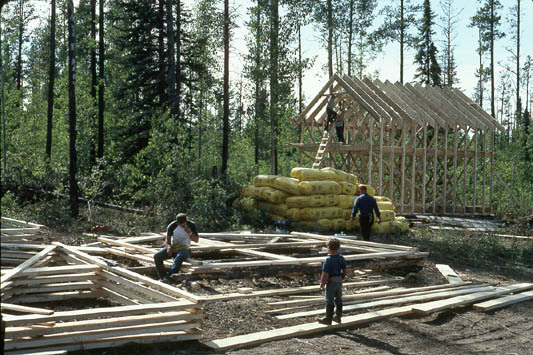 In August a work crew arrived from Pennsylvania, and framed up a church and mission home. 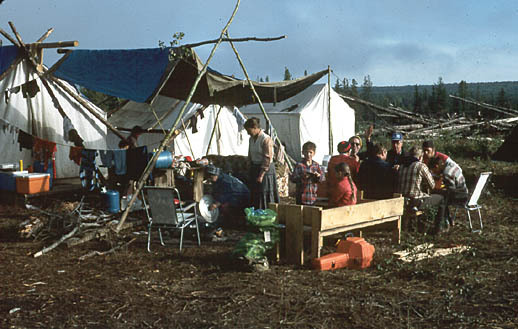 Volunteers from Red Deer, Alberta carried on, finishing the house, and the Rinkers moved out of the tents into the house by Christmas,1986. 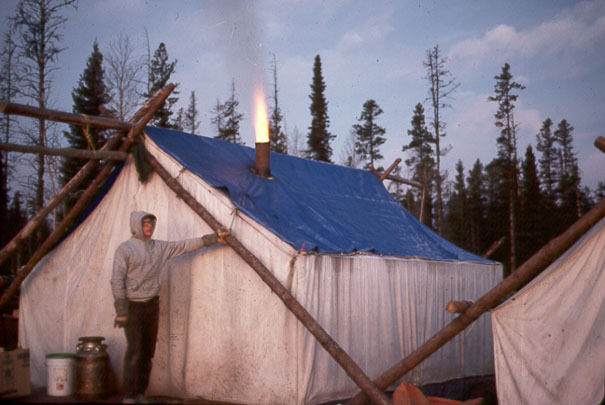 We have often been asked, "How do you keep warm in a tent?" Our answer has always been, "You have to keep the fire going!" This picture shows starting the wood stove in the early morning. No, it didn't burn like this all day. Click on thumbprint to load full size picture. Use back button to return. Our mission site relocated after the flood. First snow storm in September. This is the work crew from Pennsylvania eating lunch. One of the fellows is celebrating his 70th birthday. Emma and Josephine holding our twins, Melody & Melany. All of our children were raised in mossbags.